Ouch, right? Sounds bad, and it is bad. It’s also representative, of a school of thought of which Tertullian was one pupil. And here’s the thing, if you ask me, that school was in session before Tertullian, and, significantly, we’re all enrolled in it today. 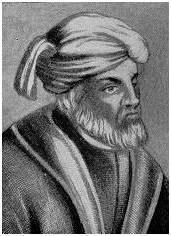 With this blog, I want to challenge Tertullian. Or, more to the point, I want to challenge the system of male privilege. I want to think about it, understand it and then discern how Jesus would have me respond to it. And I invite you to join me. Male privilege exists in our culture and is something that benefits men like me. Since Jesus calls me to surrender everything I’ve got to his leadership, that’s as true for my privilege as it is for my car, house, etc. And as I willfully and joyfully surrender this privilege and invite Jesus to use it, I get to see him empower the women around me and advance his mission in my context. To engage this thesis, I’ll be blogging here on Mondays and Thursdays, and on other days when the mood strikes me. I’ll be thinking through current events, my life, some theology and I’ll be exhorting us all to grapple with the reality of male privilege. Along the way we’ll have some fun as well. So if this sounds good to you, please join me. I’ll welcome your comments, particularly if they’re civil. This is my personal blog. The opinions that I express here do not necessarily represent those of my employer. The information I provide is on an as-is basis. I make no representations as to accuracy, completeness, currentness, suitability or validity of any information on this blog and will not be liable for any errors, omissions or delays in this information or any losses, injuries or damages arising from its use. All of that said, I’m glad you’re here and I’ll do my best to not let you down. Thanks to Adam Jeske, and, by extension, Michael Hyatt, for this language.